I always wonder what it is about cilantro that you either LOVE it, or HATE it. I am one of those people that could have cilantro on everything, and never tire of it. My husband on the other hand, gags at even the mere sight of the green leafy herb. So in our house cilantro is always a side garnish, unless if of course, you found a wonderfully fresh and delicious creamy dressing, which I have. Don't act surprised, I found it on ourbestbites.com. It's the kind of dressing that literally lights your mouth on fire. The earthy fresh taste of the cilantro combined with the fresh lemon zest....my mouth is watering just thinking about it. So enjoy! It really is one of the easiest dressings that you'll ever make! That's why I'm not doing a "play-by-play" with pictures. Just throw literally everything in a blender (or a food processor) and mix it up. With the hot sauce, add that in the end and just add a few drops at a time. My first batch I was feeling "sassy" and added waaay too much! 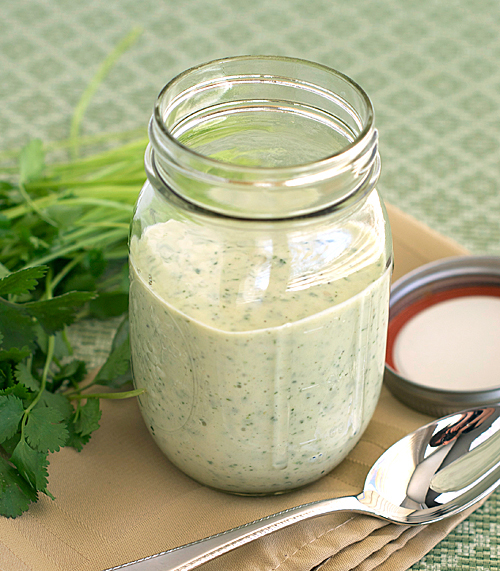 Poor over any salad, use as a dipping sauce for tacos, or for a simple dip with chips. Three cheers for everyone who loves Cilantro!!! Cheer! Cheer! Cheer! How long does this stay in the refrigerator? I'd say a couple days, a week at the most. 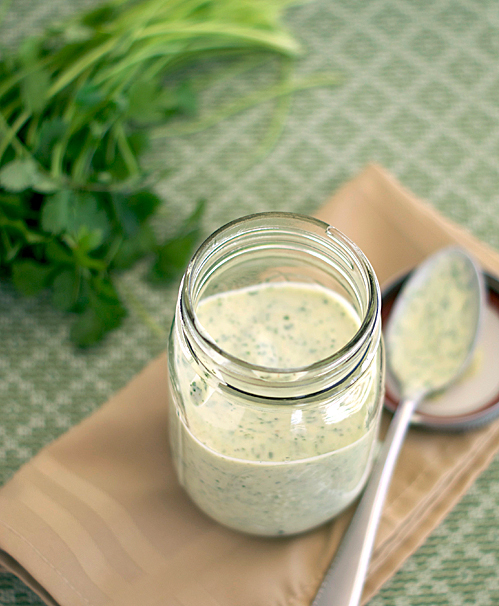 Most homemade dressings have a fairly short shelf life.